The origin of Pirelli dates back to 1872, the year Giovanni Battista Pirelli founded a limited partnership, "G.B. Pirelli & C.", in Milan to produce elastic rubber items. G.B. Pirelli & C. was liquidated and Pirelli & C., a limited shares partnership was established. In 1873, the first plant for the production of rubber items was built in Milano. Later, the rubber band production line for carriages was started (1885) and the first tyre for velocipedes was launched (1894) which resulted from a number of innovations in the preparation of materials and manufacture of tyres. In 1901, the production of car tyres began which was coupled with growth specifically based on two major factors: care for technological development of processes and products and the support of an ongoing commitment in racing, and a strong geographic expansion. In 1922, the limited shares partnership Pirelli & C. was listed at the Milan Stock Exchange. Always in the Twenties, Società Italiana Pirelli - the outcome of a reorganization of Pirelli & C. – was listed at the New York Stock Exchange, allowing the Gruppo Pirelli to become the first Italian Group with shares traded on the US market. In 1929, the firs Brazilian plant was built and this contributed to Pirelli’s expansion throughout the country. Shortly after the war, the Superflex Stella Bianca, the first and innovative sport tyre, was conceived and launched. Very popular in Italy during the Thirties, the tyre was fitted with a reinforced tread to avoid damages at high speeds. In the Forties, Pirelli’s foothold in Latin America gave rise to a further progress with the opening of the Santo André plant (1940), followed by the Merlo factory in Argentina (1955). In 2001, based on an on-going technological research effort, Pirelli started producing with their MIRS (Modular Integrated Robotized System) technology which was to substantially change Pirelli’s tyre building process. In 2003, the CCM-based (Continuous Compound Mixing) technology room was introduced to test innovative mixes and materials. In its search for an optional production platform, Pirelli was to implement a production capacity strategy in those countries with top growth rates. In 2004, a joint venture agreement was signed with Continental AG to produce steelcords in Romania. Through this joint venture - Pirelli acquired an 80% control share over it - a plant in Slatina was also built in 2005. Next to it, and still in 2005, the Group started building a production plant for their car tyres which was to become operational in April 2006. 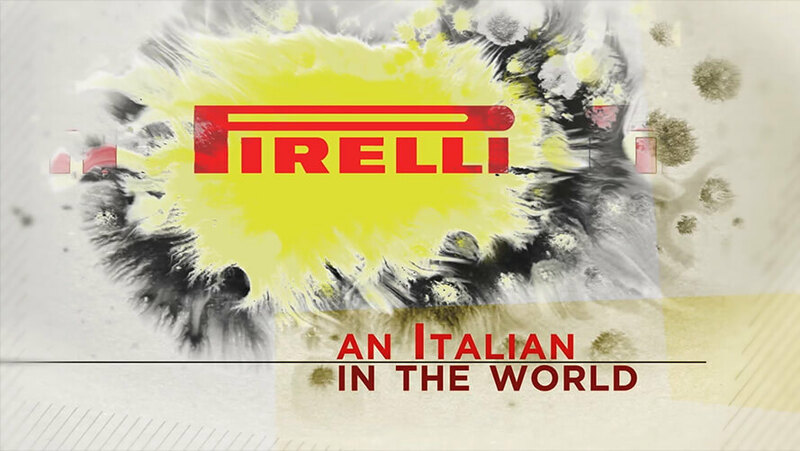 In 2010, Pirelli completed its transformation into a “pure tyre company”, through the dismissal of the Pirelli Broadband Solutions business and spin-off of Pirelli & C. Real Estate (at the registration date: Prelios S.p.A.). In the same year, after its setting up in 2009, the Pirelli Foundation was established to safeguard, protect and enhance Pirelli’s historical heritage as well as promoting entrepreneurial culture as an integral part of Italy’s cultural heritage. In March 2015, the Camfin, LTI and Coinv shareholders signed with ChemChina and its controlled company CNRC (China National Tire & Rubber Corporation, Ltd. (“CNRC”) a long-term industrial partnership agreement involving Pirelli and with the purpose of making Pirelli’s development plans sounder and stronger, be in strategically important geographic areas and achieve the integration of their tyre business into CNRC and Pirelli industrial segments. Through Marco Polo Industrial Holding, which was later to be merged into Pirelli on June 2016, the parties promoted a Public Tender Offer on the company which was to be delisted from the Milan Stock Exchange on November 2015. Pirelli returned to the stock market on October 4, 2017, following a re-organization process which led to the separation of the Industrial business and to the focus on the Consumer business, enriched with new proficiencies also through the creation of new departments and business (Consumer Marketing, Digital, Data Science, Cyber and Velo).